You are here: Home / homekeeping / Is having your groceries Shipt worth it? Is having your groceries Shipt worth it? 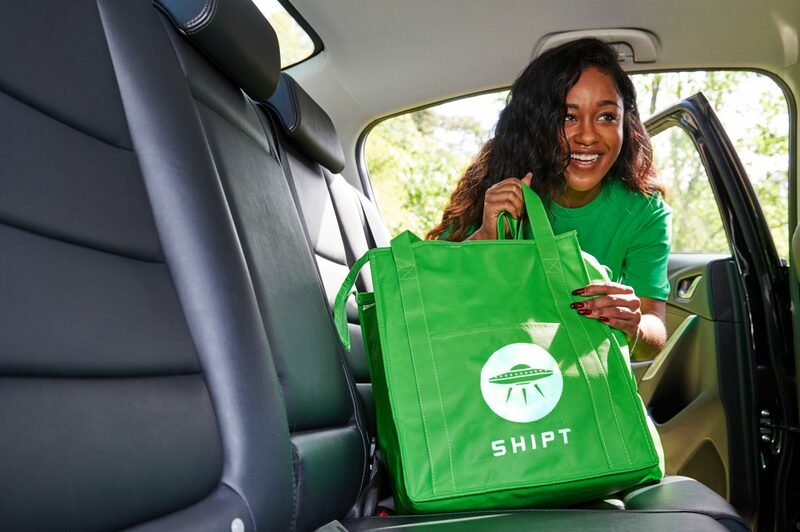 When Shipt reached out to me about a new partnership with Meijer that would offer grocery delivery in my area, I was a little skeptical. As much as I hate grocery shopping, I wasn’t sure about having to be home when the shopper dropped off the groceries. One of the things I like about Doorganics, Door to Door Organics, Amazon and meal kit deliveries is the fact that I can place my order and it comes while I’m at work. But after trying it for a few weeks now, I am totally hooked. First, you download the app and do your shopping. You choose the participating store nearest you and it populates with the groceries and basic household products that are available. If for some reason you can’t find something you KNOW they have at the store, you can add it in the notes as an extra request. I had to do this with fresh fennel and my shopper did a great job of finding it. Some people have asked if it has the same deals as the store and I’m honestly not sure. I really don’t pay attention to sales. I plan my menus in Plan to Eat, generate the list, and then go to the app to place my order. There is a way to search to see what’s on sale, but I’m not sure if it exactly matches the in-store prices. Shipt says you can expect to pay 3% more or so, but like I said, I really don’t pay much attention. And the thing is, I HATE grocery shopping. Our Meijer is always super busy at the times I can go, so I find myself doing a weird combination of hitting up Trader Joe’s, Fresh Thyme, and Family Fare, all of which I’m pretty sure are all more expensive than Meijer. Once you have your virtual cart loaded up, you provide your credit card information and choose when you’d like to have the groceries delivered. One drawback is that you have to schedule it for within the next day or two. I was on some work trips in the past month and it would have been nice to be able to order and have it delivered in a few days when I would be home. But I got around that by just saving my cart, and remembering to place the order the day before I got home. Once your order is placed, you are notified when the shopper claims your order. You get a little head shot and name, like “Jason J has claimed your order.” Around the same time the shopper normally sends me a text and says, “hey, I’m here at the store, is there anything else you need?” At first I thought this was kind of weird. Just bring me my dang groceries! But I’ve found it super helpful because let’s face it, I am kind of forgetful. So a few times I actually have had last minute things to add, like bananas. They also text you when they’re shopping if they have questions or can’t find something or need to substitute something. I did have one shopper who was kind of annoying and had a ton of questions, I was like seriously my order is not that difficult. But for the most part they have been cool and only bug me when absolutely necessary. When they are finished they text you to let you know they are on their way. When they arrive at my house I normally meet them at the door and just take the groceries from them and set them on my table. I know they will bring your groceries in your house for you if you want but my dogs bark a lot and it’s just easier than dealing with trying to get them to shut up. The reusable bags you see in the commercials and in advertising are just what the shoppers use for keeping cold foods cold, which is kind of a bummer because I do end up with a lot of plastic bags. However they are recyclable and I reuse them for other things. After the groceries are delivered you get a final receipt from your credit card and are encouraged to give a tip. I always tip 10-20% ish depending on how friendly and effective the shopper was. OK who am I kidding, even the one who couldn’t figure out why I would want whole bean coffee got 20%. I felt bad for him. Meal planning is now a habit. I usually have time to meal plan on the weekends. But, I avoid grocery shopping on weekends like the plague because it is always so crowded. Now, I can meal plan AND get my groceries delivered in time to do some prep for the week ahead. It saves me money. I know, I’m PAYING for this service, so how does it save me money? Since I am doing more meal planning we are less likely to go out to eat. I’m also less likely to pick up whatever catches my eye at the grocery store and stick to the plan, since I’m obviously not in the store wandering around. It saves me time. As I mentioned before, it is super easy to generate a shopping list in Plan to Eat (side note–the people at Meijer said they are even trying to figure out how they can import shopping lists from third party programs, how cool will that be). And while I do have to be home to answer questions that the shopper might have, I can be working in the garden or cleaning my house instead of waiting in line at the store. It saves me aggravation. I have mentioned this a lot, but I really hate crowds and not having to deal with a crowded store is worth the cost of membership. It’s a handy way to keep a running list. Run out of plastic wrap? Add it to the Shipt cart so when I go to place my order I don’t forget it. Rather than write a note in my planner or phone, I can add it to the cart and forget about it. I do still go to the farmer’s market and make the occasional Trader Joe’s run, but for the most part Shipt has made my life so much easier and I’m cooking at home a lot more. I highly recommend it! Click here to see if Shipt is available in your area! Disclosure: I received compensation in exchange for writing this review. Although this post is sponsored, all opinions are my own. This post contains affiliate links, which means I may receive a small commission if you purchase after clicking on them.